The American Health Council has appointed Dr. Lucy Tovmasian to the Board of Physicians in recognition of her decade of service to the healthcare industry. The highly experienced doctor currently works for Excelcare Medical Associates, a role she has undertaken for the past six and a half years. Dr. Tovmasian began her studies at the St. George’s University (Grenada, West Indies), where she focused on obstetrics and gynecology, going on to graduate with an MD in 2007. From a young age she had always wanted to become a doctor, having admired her own pediatrician and wanting to be just like her. Having enjoyed science and biology in the early stages of her education, she decided to join a volunteer ambulance service, further fueling her desire to progress with her career aspirations. The esteemed doctor currently works for Excelcare Medical Associates, Northern Jersey Obstetrics and Gynecology. Excelcare Medical Associates PA is a medical group located in New Jersey, comprising 81 health care providers, specializing in nurse practitioner, hematology/oncology, interventional pain management, gynecological oncology, obstetrics/gynecology, internal medicine, geriatric medicine, sports medicine, pulmonary disease, family practice and more. Dr. Tovmasian specializes in women’s health and is affiliated with many hospitals including Holy Name Medical Center, Englewood Hospital. Her work covers a broad range of areas including hematology/oncology, interventional pain management, gynecological oncology, obstetrics/gynecology, internal medicine, geriatric medicine, sports medicine, pulmonary disease and family practice. The esteemed doctor’s day to day responsibilities include working at a private practice, seeing patients from teenagers to adults, doing OB/Gynecology, women’s health, everything from contraception to delivery, peri/postmenopausal surgeries and laparoscopic surgeries. Further specialisms include pelvic floor repairs, lap surgeries and women’s reproductive tract. 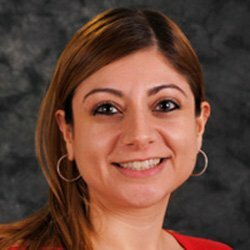 Dr. Tovmasian has enjoyed a number of professional accomplishments over the course of her career, including having her work featured in numerous publications, partaking in medical missions to Armenia and co-founding the Armenian Medical Mission Program. She is particularly proud of her many mission trips to Armenia. She is a board member of the Armenian American Health Professionals Organization and is honored to be in the Society of Laparoscopic/Endoscopic Surgeons. Looking back at her achievements to date, Dr. Tovmasian attributes her success to her family’s enduring support. Furthermore, she really enjoys being a part of someone’s life and caring for women from one stage to the next as they grow and develop. Within the next five years, Dr. Tovmasian hopes to move into a leadership role, whilst also enhancing her involvement with mission programs. When not busy working, Dr. Tovmasian enjoys traveling and socializing with her friends. The physicians of Northern Jersey Obstetrics & Gynecology are skilled and experienced, sensitive and caring. Named Top Doctors for many years running, they are the premier obstetrics and gynecology practice that women throughout northern New Jersey have trusted for three generations. They provide lifelong care, from the adolescent and childbearing years through middle age and older adulthood.